The IRS sends millions of notices to taxpayers every year. If one shows up in your mailbox, don’t panic! Most of these notices only require a simple response to clarify data. Some notices might even be letting you know of an unexpected refund due to you. The first thing you should do is send a copy of the notice to your tax preparer. Let your tax preparer sift through the notice to clarify its purpose. Read. Go through the entire letter carefully, as each letter contains specific information about how to respond. Letters will provide details about why you’re due an added refund. Or a letter will detail what you owe, such as tax, interest and penalties. It will also provide an explanation about why you owe taxes, or why a refund claim was denied. Compare. Check out how the information in the notice compares with your originally filed tax return. Respond. If your letter requires a response by a specific date, be sure to comply so you can minimize interest/penalties and preserve your appeal rights if you don’t agree. It’s best to respond by mailing a letter explaining your disagreement, along with information and supporting documents for the IRS to consider. The IRS address will be listed at the bottom of the letter. Allow at least 30 days for a response from the IRS. Record. Keep copies of all letters with your tax records as you may need them at a later date. Retain copies of your responses as well. Follow Up. The IRS provides contact info on all letters. A phone number and the notice/letter ID number can generally be found in the upper right-hand corner of letters. 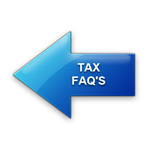 Contact us any time with questions about IRS letters…we’re happy to help!